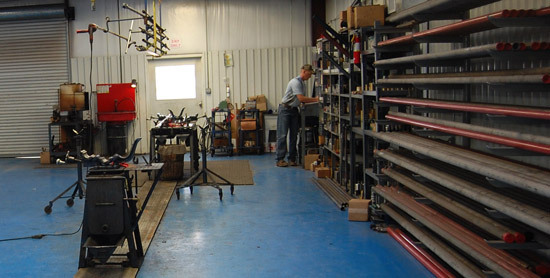 Ira Pump & Supply Co., LLC brings many years of experience in application and recommending sub-surface oil field rod pumps. Our work is recognized throughout the region for quality and problem solving. We design and assemble API pumps, as well as custom applications to meet your varying well conditions. We pride ourselves in being a company who doesn't just replace parts, but investigates why the part needs replacing. Ira Pump & Supply Co., LLC uses Optis Pump and Well Tracking. Optis is a cutting edge pump tracking system that enables our pump specialists to make better decisions. Optis Pump & Well Tracking software was developed, tested and proved in Ira Pump and Supply Pump Shops. This tracking tool allows us to manage current and historical well and pump information. This level of information control allows us to identify trends in specific wells, entire fields, and pump designs. We will research, identify, and address target areas to make your operation extremely productive at all levels.